Don’t go to Guatemala without this book! VIDEO - Take a Lancha across Lake Atitlan - Stunning Boat Ride! VIDEO - Jazz at La Palapa, Panajachel, Guatemala LIVE MUSIC!!! VIDEO - It's Party Time at Kitsch Cafe - LIVE MUSIC! Panajachel has a population of about 15,000 with the most percentage of Kachiquel Mayans on the Lake. Altitude is 1597 meters. Pana is the most developed town in the Lake Atitlan area. It has a larger Expat community than the other towns and a cosmopolitan atmosphere. 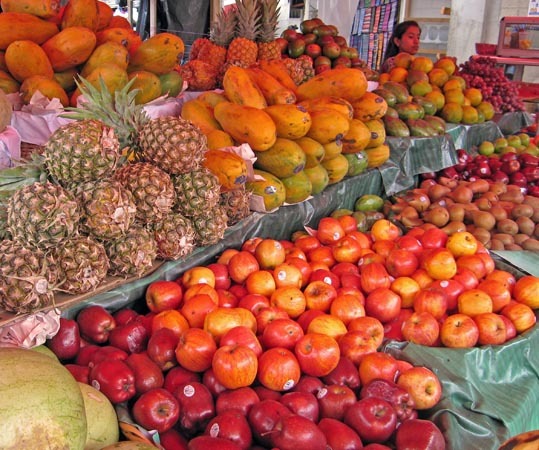 There are many hotels, restaurants, a large supermarket and a colorful Maya day market. There is a selection of NGO's for volunteering opportunities. Bungalows El Aguacatal, Calle de las Buenas Nuevas, Panachel, Lago de Atitlan, Guatemala, Tele: 502. 3454. 0753 Wifi, parking, Cable TV. Casa Colonial Nine rooms, Tele: 502. 7762. 0743, Calle Monterrey 3-39, Website: www.casacolonialpanasurf.com Panajachel. El Chaparral Hotel & Travel Agency, Final Calle Santander, Panajachel, Solola, Guatemala Tele: 7762. 2611. Comfortable rooms, Cable TV, parking, heated pool, Wifi. Hotel Dos Mundos, Panajachel, Calle Santander, 4-72, Zona 2. Tele: 7762. 2078. 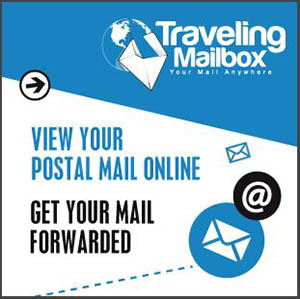 Email: dosmundos@atitlan.com & h2mundos@intelnet.net.gt Pool, parking, laundry, gardens, Cable TV, security boxes, travel agency, conference room. Hotel Fonda del Sol, Calle Principal 1-74, Zona 2 Panajachel, Lake Atitlan, Guatemala, Tele: 7762. 1162. Email: h_fondadelsol@yahoo.com 15 Comfortable rooms, Parking, laundry, garden. Hotel Jardines del Lago Calle Monterrey, Panajachel, Tele: 502. 7762.6114-15 info@jardinesdellago.com, international restaurant, water sports, internet, parking. Hotel Jere Avenida Rancho Grande, 150 meters from the public beach, Panajachel, Guatemala. Email: info@hoteljere.com Private bath, hot water, Cable TV, WiFi, covered parking, laundry service, Travel agency. Hotel Playa Linda, Panajachel, Lake Atitlan, Tele: 502. 7762. 0096 / 97. Website: http://hotelplayalinda.com.gt/?lang=en Comfortable rooms with fireplace, Cable TV, internet, swimming pool, gardens beautiful lake views. Hotel Real Santander, 3a Avenida 3-45 Zona 2, Calle Santander, Panajachel, Lake Atitlan, Guatemala. Tele: 7762. 2915 / 17, Email: necos@itelgua.com Comfortable rooms, Cable TV, parking, laundry. Hotel Regis is located about halfway down Santander. A selection of decent rooms, a restaurant and probably its best feature is the volcanic water hot tubs. If you are a guest at the hotel, the tubs and Maya sauna are free. You can pay to visit the hot tubs, but the deal is to purchase a monthly membership for them. Good value. The water is changed daily in the mornings and can be very hot. Other times, you must ask the attendant to heat up the pools for you. Natural hot spring fed. Hotel Utz Jay, Calle 15 de Febrero 2-50, zona 2 Panajachel, Tele: 502. 7762. 0217. Email: utzjay_garcia@yahoo.com and reservations@hotelutzjay.com Website: www.hotelutzjay.com Free WiFi, shuttle services, Jacuzzi, Laundry. Jenna's River Bed and Breakfast At Casa Loma in Panajachel, Guatemala. Jennifer Bigman, owner. Email: jennapana@gmail.com Tele: 502. 5458. 1984 / 502. 7762. 1447. Korean Coffee Shop - Cafe Loco located on Santander. Hot spot for young travelers, good coffee. La Posada de Don Jose Up from the day market 2a Avenida, Calle Principal 3-49, Zona 1, Panajachel. Tele: 502. 7762. 2176 or 7762. 2630 / 31 or /33. Clean rooms, garden setting. VIDEO Faces of Guatemala - It's about the people. Much about a person can be seen - or at least imagined - by peering into their faces. 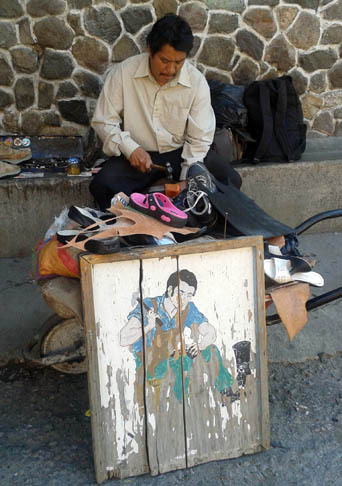 Come take a look, into some Faces of Guatemala. Atlantis Restaurant Cafe, Music Pub Open daily 7 a.m. to midnight. Breakfast, Lunch, Dinner, chicken, pasta, meats, fish, subs, sandwiches, vegetarian specials, Happy Hour, more. Calle Principal, Panajachel. Batres Farmacia is a chain of pharmacies you will find all over Guatemala the one in Panajachel is located on Calle Principal, near Chalo's grocery store. You can order many of your medicines from them if they do not have them in stock. Ceviche stands are located throughout Panajachel. We have tried several and all seem to be pretty good. Freshly made and a good value. Chalos Grocery Store is located on Calle Principal at the corner and intersection where La Dispensa Grocery Store is located. Currently its newly renovated building is yellow and is hard to miss. Has some great local chocolate, decent meat and cheese selection as well as a wine and liquor selection. Panajachel. Circus Bar and Restaurant on Avenida de los Arboles. Open noon to midnight. Live music. Take out Tele: 502. 5503. 0708 Tele to restaurant: 502. 7762. 2056, Panajachel. Website: www.circusbar.com.gt Email: lacarpasa@hotmail.com Great pizzas, meats, salads. Computer Repair Av. De Los Arboles, El Pueblito Local No.1 Panajachel, Cell: 4274. 5467 Tele/Fax 7762. 1759 email: chatzoneinfo@gmail.com Speak with Alvaro Buch, English spoken. Crossroads Cafe Michael and Adele Roberts, 0-27 Calle del Campanario, Panajachel. Email: havecoffee@gmail.com Website: www.crossroadscafepana.com Great coffee, good pastries, friendly people. La Dispensa is the largest grocery store in Panajachel. It is located on the road out to Jucanya where Chalo's Grocery store is on the corner. La Dispensa has pretty much anything you could want for the basics of living. Try their fresh roasted whole chickens. Farmacia in Gran Plaza Asis There is a pharmacy on the second floor of this little plaza just a stone's throw from the Maya Day Market. Has the best prices in town. Guajimbo's Restaurante y Parrillada Uruguaya Salads, beef, chicken, fish, soups, pastas, burgers, beer, wine, coffee, fruit juices. Excellent dishes, try the Pollo Parmesano. Portions are huge. Closed Thursdays. Located on Santander. Panajachel. IL Bucato Bio Lavanderia, Calle Santander, Rincon Sai Building, First Floor. Email: ilbucatopanajachel@gmail.com Tele: 502. 7762. 1418 or 502. 5879. 5342. Open Mon - Fri, 8am to 7pm, Sat, 8am to 6pm. Jabel Tinamit Spanish School Avenida de Los Arboles y Callejon Las Armonias. Tele: 502. 3033. 7137 or 7762. 6056 Email: info@jabeltinamit.com Website: www.jabeltinamit.com 4-6 hours per day, 5 days/week Local Family Homestay available, Volunteer opportunities. One-on-one online spanish Lessons. Japanese Food Home Delivery Selection of 9 different dishes, sushi and tempura freshly made and delivered to your address. Husband and wife team. They speak Japanese, a little Spanish (enough to order and deliver) and no English. Tele: 502. 5431. 5719. Panajachel. Kukulkan Travel Lake adventure tours, climb the volcano, live with a Mayan family. guided boat or bicycle tours. Tele: 502. 5755. 7030 or 7762. 2781. Website: www.trekguatemala.com Panajachel near tourism police and Hotel Jere. 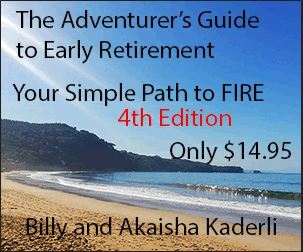 VIDEO - The Adventure's Guide to Guatemala - In this Guide we take you from the ancient Maya strongholds of Huehuetenango and Xela to one of the most beautiful tourist destinations in the world... Don’t go to Guatemala without this book! Take advantage of what we know. 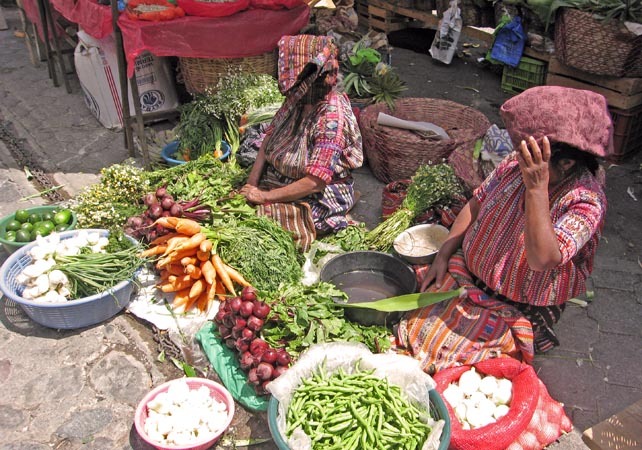 Maya Day Market is located up at the top of Calle Principal where the road intersects to go to Godinez. 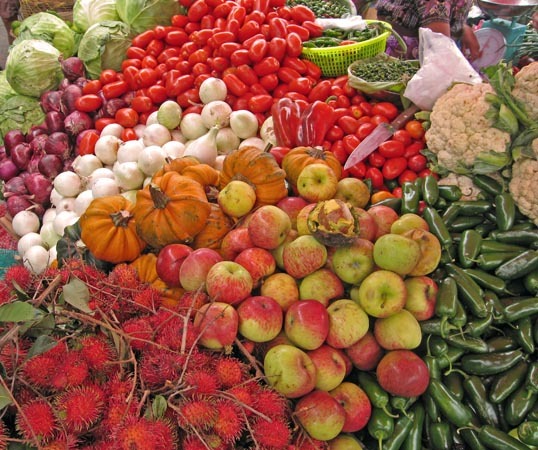 Great variety in fruits, vegetables, meats, fish, dry goods, clothing, shoes, belts, tipico shops and has a couple of restaurants located throughout the market. Saturdays and Sundays the market spills out into the street. Panajachel. Notary and Lawyer - T. Marleny Churunel Hernandez, 1a Calle 4-18 zona 2, Santa Elena 1 Panajachel, Solola Guatemala Tele: 502. 7762. 2727 or 502. 5345. 5499. Pollo Campero at intersection of Santander and Calle Principal. Has decent salads and pizza in a pinch for 40Q. Other offerings. Panajachel. Restaurante Hana Japanese food located in Panajachel on Calle 14 de Febrero. Tele: 502. 4298. 1415. TripAdvisor Certificate of Excellence award. Garden setting. Open Noon to 9 pm. Sandra's Grocery Store is located on Calle Principal and is currently a brightly painted yellow building. 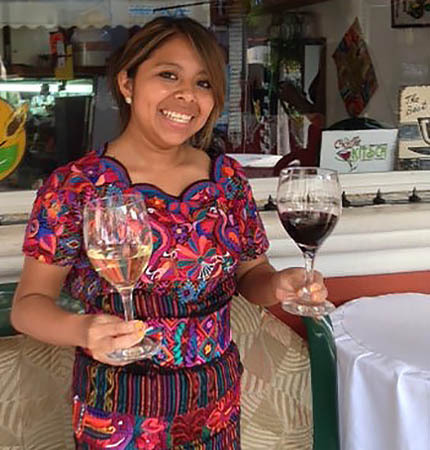 It is a little pricey, but has the best cheese, meat, wine, liquor, and imported goods selection in Panajachel. They have great submarine sandwiches. A second smaller location, is on Santander, across from the school. Santander Street is filled with restaurants of various sorts, hotels, bars, coffee shops, small grocery stores, telephone shops, computer repair shops and tipico shops. You will find a bookstore near Chinitas Restaurant if you like paperback books. 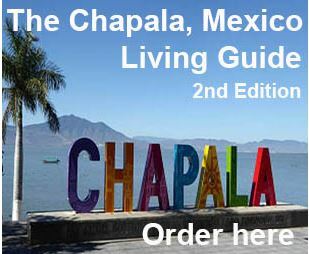 The Book Store & The Tropical Travel Agency Over 4,000 books, Atitlan's best book store. 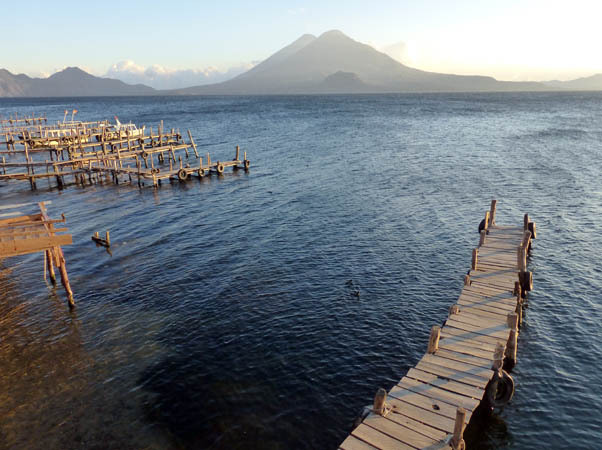 Lake tours, climb volcanoes, Mayan ceremonies, local hikes. Central Comercial El Patio next to La Chinita Restaurant. Santander in the center of town, Panajachel. 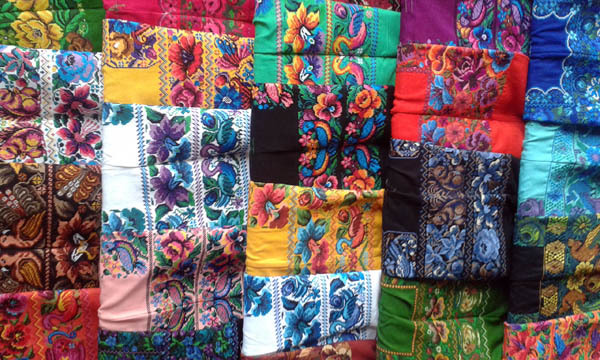 Tipico Shops are shops that sell local Guatemalan goods, weaving, beaded items, pillow cases, fabric, Huipiles. There are several shops located in the Maya Day Market and many stands are set up all along the main street of Santander. You will find some very good quality of work. Don't be afraid to bargain. Tuscani Restaurant Final Calle Santander, Panajachel. Great Italian food and fresh dishes, meats, pastas, chicken, fish. Tele: 502. 7762. 1051 or 5515. 5252 Email: restaurantuscani@hotmail.com Chef/owner Walter. Ulsan Italian Restaurant and Pizzaria located on Santander behind Cafe Kitsch. Home delivery. Tele: 502. 7762. 2338. Panajachel. MITASFA Shuttle Service, From Panajachel to Antigua and Guatemala City, Chichicastenango Market Day, and eleven other cities including Mexico and Honduras. Manuel is the owner, Email: mitasfa@gmail.com or mitasfa_56@hotmail.com Tele: 502. 5448. 9886 also 502. 7762. 0556. Chicken buses from Panajachel to Guatemala City, Xela, Santiago and other towns running very often andleaving from the Main Bus Stop, next to Comercial Dorada at top of Calle Santander or frequent buses along main highway. To Antigua, take a Guatemala City Bus and change buses in Chimaltenango. Ther are also Pullmann Buses, ask in the travel agencies. San Pedro Chicken Buses leaving on the main road in front of the Catholic church in the center. If you are coming from San Marcos, they make stops in San Juan and in San Pablo. San Pedro to Guatemala City (4 hours) Monday - Saturday a.m.: 3-4-5-6-7-8-9-10--12p.m.- 1:30-2p.m. (last). Only Monday morning, first bus at 2 a.m. Sunday a.m. 6-7-8---10--12p.m. - 1 - 1:30 - 2 p.m. (last). San Pedro to Xela (Quetzaltenango, 2.5 to 3 hours): Monday to Saturday a.m. 4:45 - 5:45 - 6:30 - 10:30 - 11 Sunday, 6 a.m. Pullmann Buses: 8 a.m. and 1:30 p.m. (last) also Sundays. San Pedro to Santiago (1 hour) whole week: 6 a.m./12:30 p.m.
San Pedro to Antigua Take bus to Guate City CHANGE in Chimaltenango (3 hours) to Antigua Buses, another 1/2 an hour. VIDEO - Maya Lady Washing Clothes - Fresh, running water is a new convenience to these Maya women living around Lago Atitlan. For them, this is modern living. For Shuttles to the airport, Antigua, Monterrico and other travel spots or private transport you need to ask in the travel agencies. Tuk tuks San Pedro 5Q in the village. To San Juan 10Q per person. Panajachel, 5Q per person, sometimes more to go to Jucanya. Ask driver before getting in. Antigua, 10Q per one tuk tuk, weekends, 15Q. Nights are more expensive. Lanchas from Panajachel to San Pedro 25Q. First boat leaves at 6 a.m., then you need to wait for 12 people to fill the boat in order to leave. Some boats go along the shore passing by every village (a nice 1 hour tour) and others are "directo" - straight to San Pedro. You need to ask. Different towns along the lake are different prices. Santiago is 25Q. Last boats to leave are at 5 p.m. and 7 p.m.
Lanchas from San Pedro to Panajachel 25Q. First boat leaves around 8 a.m., then you need to wait for 12 people to fill the boat in order to leave. Last boat at 5 p.m.
Lanchas along the shore First boat at 6 a.m., then every 20 minutes until 5 p.m. To San Marcos, 10Q, to Santa Cruz, 20Q, to Panajachel, 25Q. Lanchas from San Pedro to Santiago 25Q. First boat leaves at 6 a.m., then every hour, last boat at 5 p.m. In Santiago, ask about the last boat to San Pedro. There are times during the day when the boats don't go. Last lancha at 5 p.m. Private Lancha, $50USD. Ask the Lancheros or tourist guides. Central de Salud, on Calle Principal, up towards La Dispensa. You can walk in here for free for services. There are free acupuncture sessions given by Diane Dreyfus, who often brings in international doctors to help with the locals. Contact her on her Facebook Page to ask about her free Hornadas and clinics. Clinica Dental Dra. Luisa La Guardia Garcia, Calle Santander, Zone 2, Centro Comercial Plaza Atitlan Loca 23 & 24. Panajachel. Tele: 502. 7762. 1220 Emergencies: 502. 5475. 3061. Email: saludentuboca@gmail.com English spoken. Clinica Dental Solola, 7th Avenue 8-48, zona 2, Solola. Emergency phone 5416.5369. Hours M-F 8 am - 12 pm and 2pm - 5pm. Saturday 7:30 a.m. 11:30 a.m.
Clinica Medica de Ginecologia y Obstetricia Luz Y Vida, M-F 9 am - 7 pm Saturday, 9 am - 1 pm, 24 hour emergency phone: Tele 4154.9478 and 7762.4709, 0-374 Avenida Venancio Barrios Zona 2, Solola. Dental Surgery Dr. Carlos Rodolfo Garcia Garcia. Panajachel near La Dispensa. Tele: 502. 4148. 3072. or 5514. 3107. Monday through Friday 8:00 a.m. to Noon, 3:00 p.m. to 7 p.m. Saturday, 7a.m. to 2 p.m.
Dentist Carlos Rodolfo Garcia Garcia, Dental Surgeon, Calle Final Hotel Victoria Zona 2, Panajachel. Tele: 4148. 3072 or 5438. 1445. Hours Mon - Friday 8 am to Noon and 3 pm to 7pm. Saturdays 7 am to 1pm. Dra. Zully Arroyave, Internal medicine, Sanatorio Philippe Pinel, 5a Calle 7-48, Zona 2, Solola, Tele: 7762. 3294. La Asuncion Laboratoria Clinico Biotolico, Licda. Kenia Maria Caballeros Barragan, Calle Principal, Callejon Maria Cruz local 6C, Telefax: 502. 7762. 6268, Website: www.laasuncion.com.gt Email: info@laasuncion.com.gt Panajachel. In SOLOLA: 7a Avenida 11-52 Zona 2, Tele: 502. 7762. 4869 Telefax: 502. 7762. 3303. VIDEO Taxi Ride Down the Hill for a Thrill, Lake Atitlan, Guatemala - One of the most beautiful places on earth is Lake Atitlan, Guatemala. Santa Cruz is a small town located on the lake's edge. Massage and more, Marta Lynd-Atlan, East West Center, San Marcos, Tele: 5521. 3059, Acupressure, Teishin and Moxa, abdominal massage, back treatments. Mayra Lisbeth Tobias Munoz, Lawyer and Notary, 0 Calle 1-99, Zona 3, Barrio Jucanya, Panajachel. Also located in Solola. Tele: 7762. 0870 or 7762. 0678. Cell: 5913. 8868 Email: mayratobias@hotmail.com . Has extensive knowledge and experience in Civil, Commercial, Corporate and Real Estate Law. Also works for private businesses, Immigration and Non-profit Organizations. Appointments can be made by Skype conference (Skype ID mayratobias), email, telephone and in person. English and Spanish spoken. PanaMed Clinicas de Especialidades (tele: 4224. 2648) just moved to the other side of La Dispensa Familiar, on a side street. Tuk tuks know where it is. Panajachel. Dra. Juarez (speaks English) Gynaecologist, Dr. Carlos Cunningham, chiropractor, Naturopath, Tele: 7762. 0281. Internal medicine, Dra. Clara Cabrera, tele: 3006. 1428. Ask about other services provided in Clinic, since it seems to be fluid. Open Monday through Saturday. 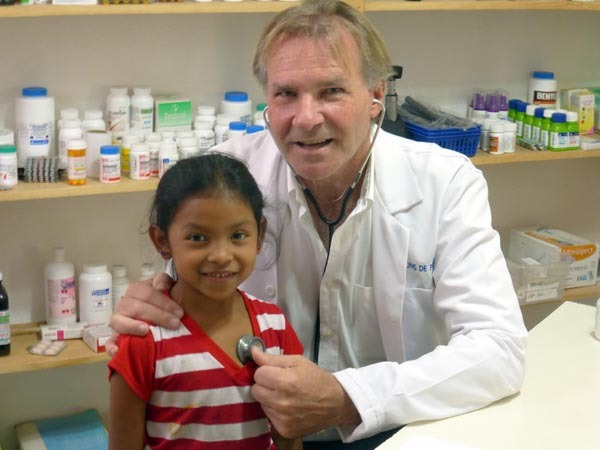 Guatemala Medical Travel brings the most highly skilled surgeons, doctors and dentists of Guatemala together with patients from America, and other countries, who are seeking a more cost-effective solution to their medical needs. A treatment referral and travel agency, Guatemala Medical Travel will help you maintain your bills at 60-80% less than normal US prices and help you will all details including accommodation, translation, transfer of funds, tour guides and all personal services. HTH Worldwide gives you quotes for international health insurance covering inside and outside the U.S. Plans include the Global citizen for crew ship members or missionaries, or Global Citizen Expat. View benefits, get a quote. International Triage is a pioneer in care management for patients outside their country of residence, specializes in offering world-class treatment destinations in Latin America and the Caribbean. There is a 24/7 help desk and a second opinion option. VIDEO - Ride on a Chicken Bus in Guatemala! - See first hand what it's like to ride on a Chicken Bus through Guatemala. Billy narrates your trip. International Health Insurance IHI was one of the first insurance companies in the world to offer international insurance plans. Over the last 30 years IHI has introduced more new products than any of the competitors including preventative services, health consulting services and online solutions for the convenience of their customers. Both healthcare insurance and travel insurance. World Nomads Travel insurance, recommended by Lonely Planet. Available to people from over 150 countries, designed for adventurous travelers, cover for medical, evacuation, baggage and activities. Starfish One by One empowers young women through education and mentorship to become leaders in their community. They invest in the education of rural Mayan adolescent girls who otherwise would have no education beyond 6th grade. Studies show that the educated girl transforms herself, her family, her community, and her world. For more volunteer opportunities, see our Volunteer Page.